Making Plans: Judging "Oyster Wines"
They call it an Oyster Wine competition; after an elimination round followed by finals in three cities,10 of the original 130 entries are left standing. It's really more of an oyster promotion, created some years back by seafood marketing guru Jon Rowley for Taylor Shellfish. No matter. The winning wines (5 from Washington, 3 from California, 2 from Oregon) will see an immediate increase in sales at oyster bars around the country. 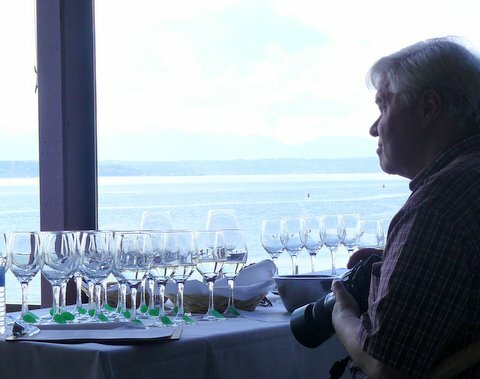 Cornichon was among the judges at the last round, held upstairs at Anthony's HomePort on Shilshole. Next to us, Maggie Savarino Dutton of The Wine Offensive twittered. At other tables, chef Kevin Davis of Steelhead Diner (whose wine list just received a special mention from the Washington Wine Association) and Nancy Leson (Seattle's only full-time, fully paid food blogger). A very fit, shirtless man emerged onto the balcony of the neighboring apartment complex and stretched like a cat in the afternoon sun. Rowley himself sat by himself at a table overlooking the bay and the Olympics, pondering the lineup of 20 glasses, thinking of the dozens of icy Kumomotos to come. Like Hemingway in Paris, he would smell the oyster, he would chew the oyster, he would sip the wine. And as we did this, all of us, twenty times over, following the taste of the sea with the crisp taste of the wine, we would lose the empty feeling and begin to make plans. Seattle's emperor of pizza (and sultan of coffee), Mike McConnell, unveiled the fifth Via Tribunali outpost last night in the space at the back of the refurbished Crocodile. If you're not going to the Croc for a show, you enter through the alley between 2nd and 3rd. In the far corner, Tribunali's signature oven, this one a deep red, built by a team of masons from Naples who used bricks made from Vesuvian ash. The pizzas are Neapolitan-style thin crust, quick-cooked in a blazing hot, wood-fired oven with a limited set of toppings and a relatively light hand on the cheese. A pizza, Italians will tell you--even as they argue over stylistic details--is not an all-you-can-eat buffet. It's been a busy couple of years for McConnell, who started with a single Caffè Vita store on Capitol Hill. He's expanded the coffee business to five stores and wholesale distribution; partnered with local entrepreneurs (Theo Chocolate, OnePot, Neumo's, among many), and branched out into the restaurant biz (the Via Tribunali chain, Pike Street Fish Fry, Cremant), almost always restoring underused urban spaces for his projects. The reclaimed Belltown space features lofty chandeliers, high-back booths and a dark mahogany bar; there's even an antique Italian foosball table, an authentic bigliardino , on loan from Corino Bonjrada, owner of Mondello in Magnolia. 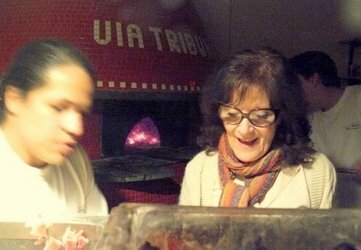 (Corino's Sicilian mamma, Enza Sorrentino of Sorrentino Trattoria & Pizzeria on Queen Anne, supplies Tribunali with her ethereal lasagna.) McConnell isn't afraid to share the credit; he's got admirers all over town. 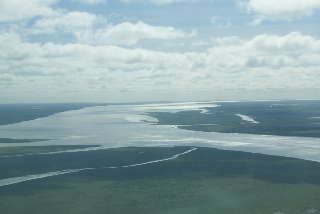 The huge, relatively shallow Yukon River Delta empties into the vast Bering Sea, home to the largest single-species fishery in the world: Alaskan pollock. Giant trawlers scoop up millions of pounds of pollock every year, more than $2 billion worth, to be processed and sold as frozen fish sticks and "krab." It's a healthy, sustainable industry (its proponents say) that provides low-cost protein for millions of people around the world. And, through a government program called Community Development Quotas, the impoverished native villages of Western Alaska actually own a share of the fishery. But there's a catch to the catch. It's called by-catch, species other than pollock that get caught in the nets of the offshore fishery. Were they just junk fish, it would be no problem. But the pollock by-catch consists of chinook (king) and chum salmon returning to their Yukon River spawning grounds, plump with fat and omega 3 acids, some of the healthiest and best-eating fish on the planet. Even more important, though, than feeding discriminating diners in Seattle, the Yukon king salmon provide subsistence for villagers on the river's banks. Entire families go out in shallow boats to snag them as they make their way into the river. This is a part of Alaska, it bears repeating, where gas costs $10 a gallon, where the pollock fishery has decimated the salmon runs, where even Gov. Sarah Palin recognizes (albeit reulctantly) the humanitarian crisis of starving villages. A noisy hearing in Alaska this week pitted the pollock people against the salmon supporters, both sides also making use of the Internet to tell their stories. The temporary solution, an unsatisfactory compromise, to "limit" the by-catch, makes little sense, since the salmon (worth $5 a pound to the natives) are considered worthless by pollock trawlers; the lifeless carcasses are simply dumped back in the sea. In theory, limiting the by-catch would require trawlers to stop fishing when they reach a maximum number of salmon; in practice, they'll probably continue. "The pollock fishery got what they wanted," says Jon Rowley, the Seattle food guru who weighed in on behalf of the salmon. It's a saga straight out of Spotted Owl territory, a historic conflict of interest between farmers and cowmen (who ended up, in Oklahoma!, at least, being friends), with no guarantee of a Judge Boldt decision in favor of either fish. But it's not just about the fish, it's about the people who live by the fish, and there's no easy answer. For ballerinas, Swan Lake is a sought-after, tough and rewarding double role: Odette the good swan and Odile the evil swan. But It all began with the music. In 1877 Tchaikovsky got the commission from the Bolshoi for a full-length ballet based on the Russian folk-tale of an enchanthed swan and the handsome prince who falls in love with her ; he composed a lush symphonic score that offers choreographers both languid melodic lines and lively melodies. (Familiar plot: boy meets swan, boy betrays & loses swan, swan commits suicide, boy despairs.) The Swan Lake we know today--indeed, the whole notion of ballerina-as-swan (one speaks of "a ballet of swans")--evolved from this specific piece of theater, grounded in the 19th century conventions of classical ballet, with its reliance on a rigid sequence of dances (waltz-solo-march-action scene). In 1975, when they were at the Frankfurt Ballet, Kent Stowell and Francia Russell created their own Swan Lake. In 1981 they brought it to their new home at PNB, and in 2001 they came up with a new production (off-kilter set, colorful costumes, and a more dramatic, if ambiguous, ending). At Opening Night, Kaori Nakamura danced Odette/Odile with exceptional grace, partnering with a stalwart Lucien Postelwaite. Subsequent performances will feature five other couples; PNB is nothing if not an equal-opportunity casting director. (The legendary Louise Nadeau performs on Saturday.) Also deserving of mention are Jonathan Porretta's antic acrobatics as the Jester and Olivier Wevers's looming presence as the evil Baron von Rothbart. We've fallen out of the habit of roasting our own swans in this country. We do better by turkey, but it's a pity. By all accounts, swans are delicious. Certainly this is a delicious production, giblets and all. Pacific Northwest Ballet presents Kent Stowell's Swan Lake, through April 19th at McCaw Hall. For tickets ($30-$150) call 206-441-2424 or go online. Cygnets on parade. Above, Nakamura and Postlewaite. Photos © Angela Sterling. Mackay Restaurants has closed its Tacoma seafood operation, known as Sea Grill. It was the sister restaurant to Seattle's Waterfront Seafood Grill on Pier 70. A polite press release thanks Sea Grill's guests for their support and for "allowing us to help celebrate the pivotal moments and chapters of their lives." But memories don't pay the bills, and large, downtown restaurants like Sea Grill are particularly vulnerable to the current downturn. Mackay's new El Gaucho Bellevue is hurting, too, but will do fine once Microsoft moves into the building. 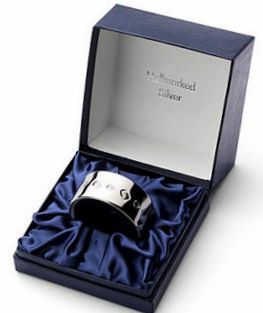 A well-run chain like Mackay pays attention to every detail, from the cost of a napkin to the knot on the server's' bowties; you can bet they know down to the penny how much they're making (or losing) on a daily basis, and they're unsentimental when it comes time to pull the plug. On the other hand, owners of smaller restaurants know how to suffer; they also look at every opportunity to keep money coming in. Why do you think that more and more places offer happy hours? And have started to open on Sundays and Mondays? Those "unused" daytime hours on the weekend, when most places are closed, present a terrific opportunity: brunch! 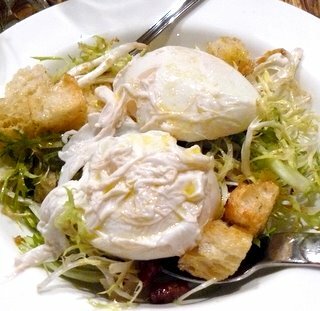 Capitol Hill's Olivar has been doing a three-course, $15 prix-fixe brunch for several weeks now (that's their poached eggs with frisée salad in the photo) and two more Capitol Hill spots, Barrio and Rover's, are expanding as well. Different approaches, however. Barrio hits the deck with traditional south-of-the-border cocktails and egg dishes; Rover's offers a two-course, $25 package. That done, they'll proceed to Sunday supper. It's a great time to be an eater, what with all these terrific neighborhood restaurants dropping prices. What's important is not just to hope they'll survive but to keep patronizing them. If you love your street, shop your street, eat your street!